Yesterday seemed like a slow day. There were hardly any people in the malls. I guess everyone stayed in because of the rain or went on a trip to make the most of the long weekend. While I, on the other hand, hung out with Jan from afternoon until late evening for Army Navy and Starbucks coffee (I’m helping her collect stickers). 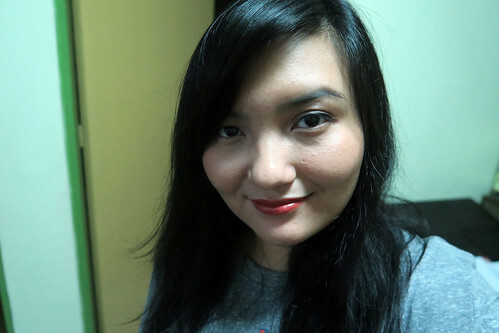 I went out in a semi-sporty attire, so I put on a near-natural eye make-up. First time I tried my recently acquired Clinique eye shadow palette that contains soft pinks and sheer matte brown. 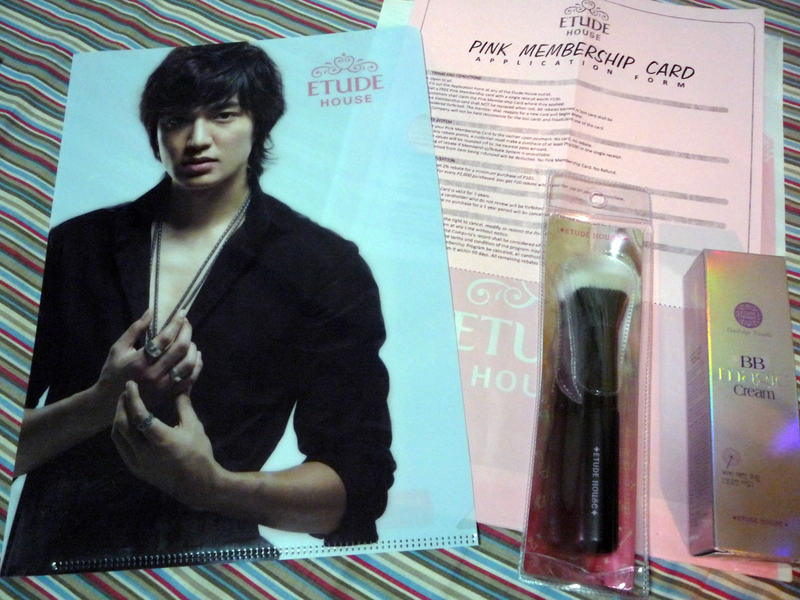 I bought from Etude House just some days after their opening here last year. My first purchase was their BB Cream. Then I bought Jan a BB Cream and a stippling brush for myself in my second visit. The second visit earned me a free folder with Min Ho on the cover and a membership card (which I’ve only used once until now). In this post, I’ll reviewi both the stippling brush and bb Cream. It’s been long overdue. Browsing through unsorted pictures from my camera made me realize my backlog here.